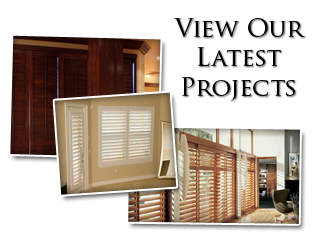 At Sweet Shutters and Shades, we take great pride in being the local leading provider for window treatment services in Charlotte and the surrounding areas. Aside from the obvious staples of the window covering industry, like blinds, shades and shutters, we also take care of service work that doesn't always fall into a traditional category. The bottom line is that our goal is to provide you with whatever service is required to complete your window dressing plan. Whether you have something in mind or need some creative inspiration, we can help make it happen. Having the ability to see the upcoming trends, innovations and advancements in the industry enables our Charlotte shutter company to better serve you. Too many homeowners make the mistake of working with what amounts to nothing more than glorified window blind salespeople. They know little about the industry other than how to aggressively push mass-produced overstock on unsuspecting consumers. It is safe to say that our approach is a lot different. We work with you through the process, from beginning to end, making you aware of all the ways in which you can customize your window coverings. This means focusing on your overall satisfaction, as opposed to using up all of your budget. Our genuine interest in this field, and concern for our clients, is what drives us forward. It should come as no surprise that motorization is one of the most popular customization options available these days. What better way to make your window treatments simple to use, as well as making it safer for children and pets? Cords and pull chains are a risk of injury or strangulation and it makes sense to want to eliminate this threat, whenever possible. It also helps keep your interior looking neat, sleek and streamlined by ridding your home of needless cords and chains. Activate and program your window treatments, with the push of a single button. No more going from room to room and window to window, just to adjust the blinds. This is also an ideal way to increase the property value of your home. As more and more homeowners make the transition to motorization, home buyers begin to expect that as the norm. So if you try to sell your home without this feature, it will take you longer to find a buyer. Get comfort, enjoyment and ease by opting for motorization for window treatments in Charlotte and the surrounding areas. Even more important, get the information and results that you want, need and deserve by calling on the pros here at Sweet Shutters and Shades. We look forward to working with you and providing you with the superior quality results you should be able to expect. 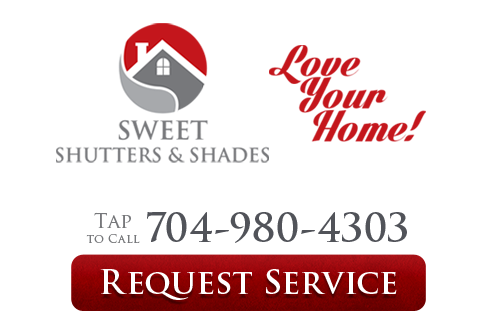 If you are interested in the other window treatment services we provide in the Charlotte area, please call Sweet Shutters and Shades at 704-980-4303 or complete our online request form.